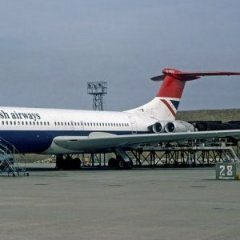 You will probably remember that Just Flight released the 'VC10 Jetliner' the other year, although high quality the systems were understandably simplified somewhat to appeal to newer simmers, with the promise of a 'Professional' release eventually, along with service packs that add the Super VC10 and RAF models. Well that now appears to be very close to completion, JF have recently released screenshots for the product and labelled it as 'coming soon'. So with luck we may be seeing this wonderful aircraft released in not too long. If you have already purchased the previous VC10 I believe you can get a discount when it is released. Again, I am a huge fan of Classic jetliners and it is nice to see Just Flight filling this niche in the Flight Sim community, with a 747 Classic, Caravelle and 146 also in development at the moment, and I am also glad to see a VC10 with 'study sim' level systems soon to be on the market. Thanks, Martin. Just what I was hoping for as the first release was too lightweight for my liking. Great news, looking forward to fly this beast. Can I assume this will have TrueGlass or its equivalent? I didn't see that in the feature list, but I may have missed it. Or, it may be assumed to have it since the A2A rain effect is (I think) free now? Anyway, I like how JF creates these British aircraft (like the Vulcan, etc.). Really good to see. Just got an email from JF. It will be released next week!